In the early 1900's Russia was having economic trouble. As Russia became industrialized the majority of people in the country were unemployed or held low income jobs. The people grew discontented as they starved while the rich prospered. World War I was having a grave effect on the lives of the people in Russia, and they blamed Nicholas II for their troubles. A revolution began as a result of the horrible conditions in which the country lived. The last of the Romanov Dynasty, Czar Nicholas II, ruled Russia as Emperor from 1894 to 1917. His rule was short due to a lack of experience in government and his inability to change with the growing industrialized economy of Russia. During the initial revolution in February 1917 he was forced to abdicate. 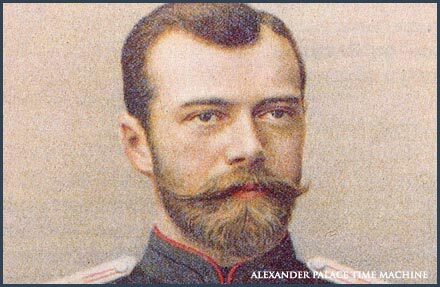 To find out more about Czar Nicholas II click here. 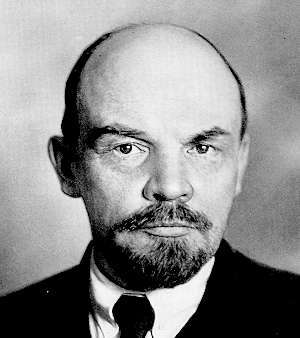 Lenin was exiled during the rule of Czar Nicholas II because of his radical views on government. When Nicholas II abdicated Lenin returned to his homeland with the help of the Germans and led the Bolshevik Revolution. He was well known for his ruthlessness and would crush any opposition to his movement. For more information about Lenin click here.